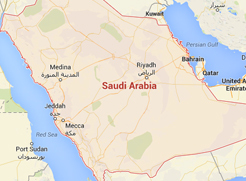 Anjum Makkah Hotel - Standard Double Room (2 Adults) - . Anjum Makkah Hotel - Triple Room (3 Adults) - . 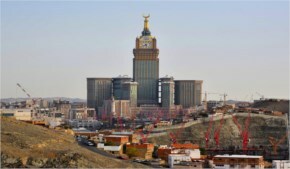 It is a 5 stars hotel situated in Mecca City with a view over the Holy Haram and Kaaba. With its extraordinary location, the hotel owns an Andalusian design with modern furniture and consists of 1743 rooms. It features luxurious single rooms with city view, classic twin rooms with city view, deluxe twin room with Haram view, and junior suites with Haram view. Relish the fascinating atmosphere of the hotel restaurants that feature delicious international and Asian cuisine. Enjoy exploring Mecca City important landmarks like the Holy Haram and Kaaba, the Black Stone, Mount Arafat, Mash’ar Mina, Hira cave, Thour Mountain, and Jabal Al-Nour. The hotel offers WiFi and car parking for your comfort. When would you like to stay at Anjum Makkah Hotel? Anjum Makkah Hotel - Double Room (Package) - . 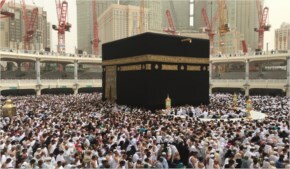 Anjum Makkah Hotel - Quadruple Room (4 Adults) - . Anjum Makkah Hotel - Standard Double Room (2 Adults) - Anjum Makkah Hotel - Standard Double Room (2 Adults) - Anjum Makkah Hotel - Standard Double Room (2 Adults) - . Anjum Makkah Hotel - Superior Double Room - . Anjum Makkah Hotel - Superior Quadruple Room - . Anjum Makkah Hotel - Superior Triple Room - . Anjum Makkah Hotel - Triple Room (3 Adults) - Anjum Makkah Hotel - Triple Room (3 Adults) - Anjum Makkah Hotel - Triple Room (3 Adults) - . Anjum Makkah Hotel - Triple Room (Package) - . Anjum Makkah Hotel consists is arranged over 26 floors, and contains a highly convenient units with total number of 1743 elegantly decorated rooms and suites, it offers modern accommodations with views of the Masjid Al Haram, all units fully equipped with all sort of services and amenities such as wardrobe, air conditioning, a flat-screen TV with satellite channels, mini bar, mini fridge, safety deposit box, ironing facilities, seating area, and private bathroom with a hairdryer and free toiletries. The units have several decors with types and sizes include: Single Room with City View, Classic Twin Room with City View, Deluxe Twin Room with Haram View, Junior Suite with Haram View, Diplomatic Suite with Haram View, Executive Suite with Haram View, and Presidential Suite with Haram View. - Al Hijaz Restaurant, it is a spacious, all-day dining venue, it features international, Turkish, Asian and Oriental buffets for breakfast, lunch and dinner. It offers salads and appetizers, superb soups, perfect pastas, delicious burgers, fabulous fish dishes, divine desserts and much more besides. - Umm Al Qura Restaurant offers delicious breakfast, with freshly-cooked favourites and local specialties sure to delight your palate. It also serves international, Turkish, Asian and Oriental buffets or enjoy a selection of local and world cuisine. Everything is freshly prepared for your dining pleasure. Along with Al Hijaz Restaurant, 2,000 guests can be comfortably seated at once. - Al Shubaikah Cafe, it is a lobby café situated on the ground floor, the Al Shubaikah Café can accommodate 152 guests in complete comfort, serving light meals, specialty teas and a wide selection of hot and cold drinks. Open 24 hours a day for your dining pleasure, choose from delicious gourmet salads and designer sandwiches, classic burgers and sumptuous seafood, sweet treat, cocktails and a whole lot more. - Al Shaameyah Cafe, it is a traditional English tea café with a unique Arabic charm all of its own. Offering a range of teas and coffees, sweets and snacks and so much more besides, Al Shaameyah Café features a sophisticated, relaxed setting and tantalising tastes – including sublime salads, international puff pastries, delicious burgers, sweet treats and much more besides. Anjum Makkah Hotel includes a business center.